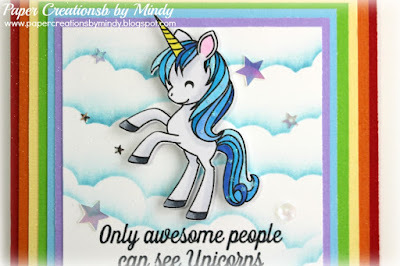 Jaded Blossom: Guest Designer, Mindy! I am beyond super excited to be guest designing for Jaded Blossom this month. A big huge THANK YOU to Candace and Michelle for giving me this privilege. To kick off this month for me I dove straight in to the adorable stamp set Unicorns and Glitter! I am a huge fan of fantasy and couldn't wait to color up this unicorn which was my all-time favorite animal growing up. First, I started out cutting the cloud-looking border from border dies 2 from acetate. This is my template (that I can use again and again!) I then laid that down on white cardstock and used light brushing strokes with my Tim Holtz distress inks to give the light blue cloud look. I just kept moving that around my paper until I achieved my desired look. 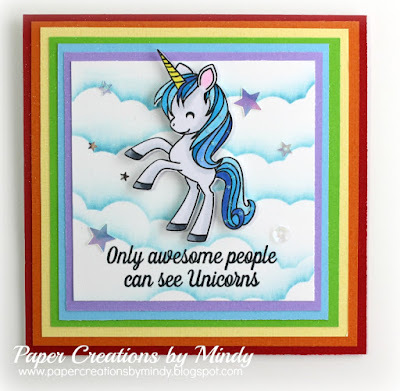 Next, I colored my unicorn and cut it out with my Brother Scan n Cut. 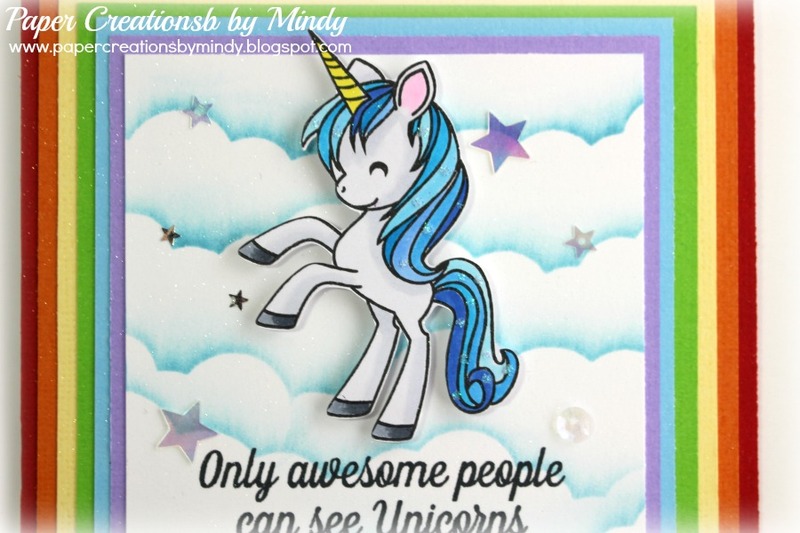 I adhered some pop dots to the back of the unicorn for dimension. 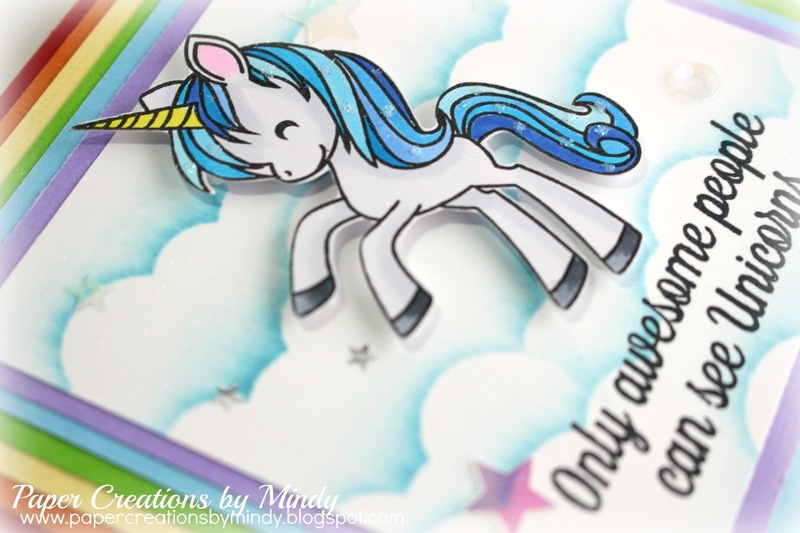 Once I adhered all my layers and stamped my sentiment, I added my unicorn and what's a unicorn without some sparkles and stars?! So... I added some bling from Little Things from Lucy's Card Diamond Ring and Crystal pack. Just when I thought I was done.... I decided to spritz some Shimmer spray on the entire card. It's hard to tell in the pictures but its gorgeous in person when the light hits it! I hope you enjoyed my card! I sure had fun making it ! 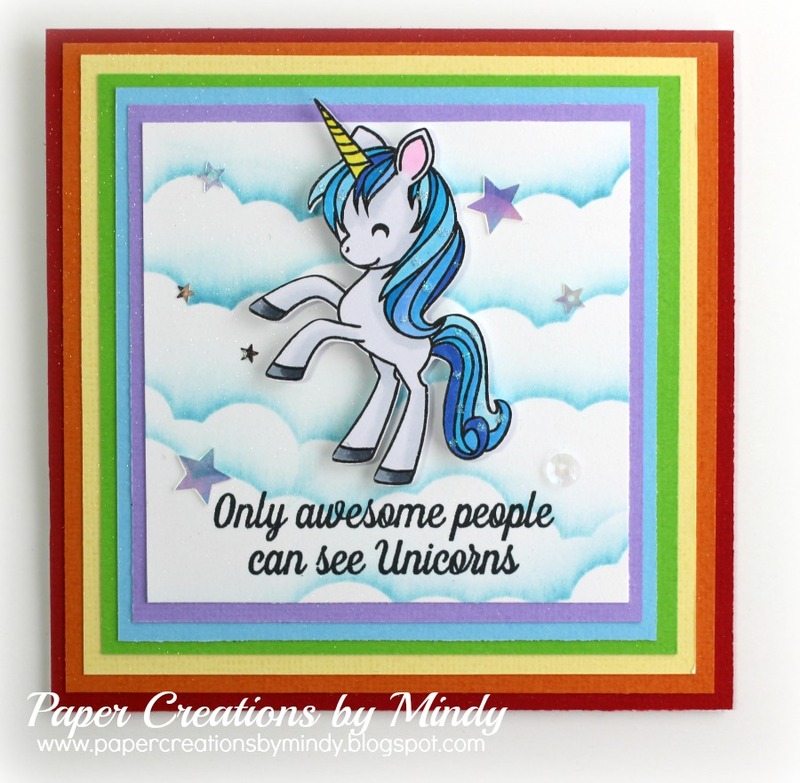 Mindy, this is Amazing and ADORABLE!